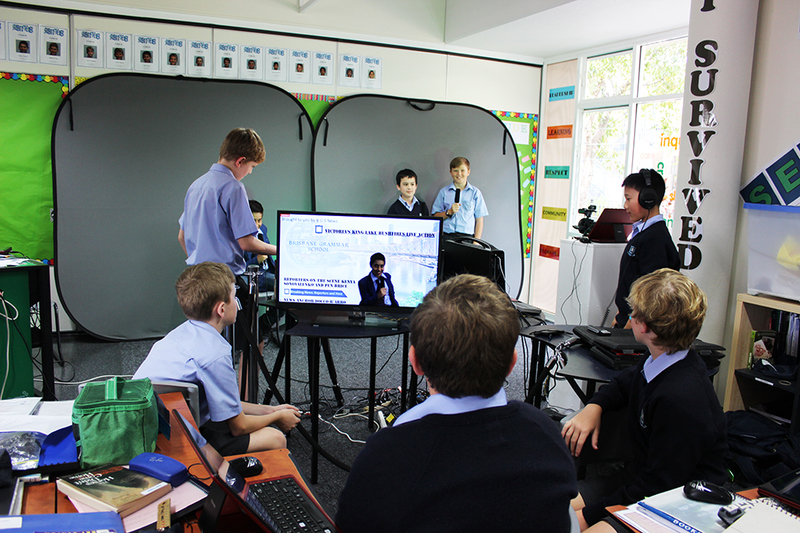 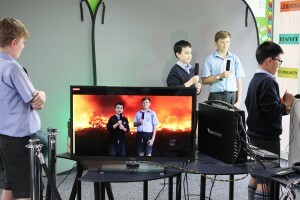 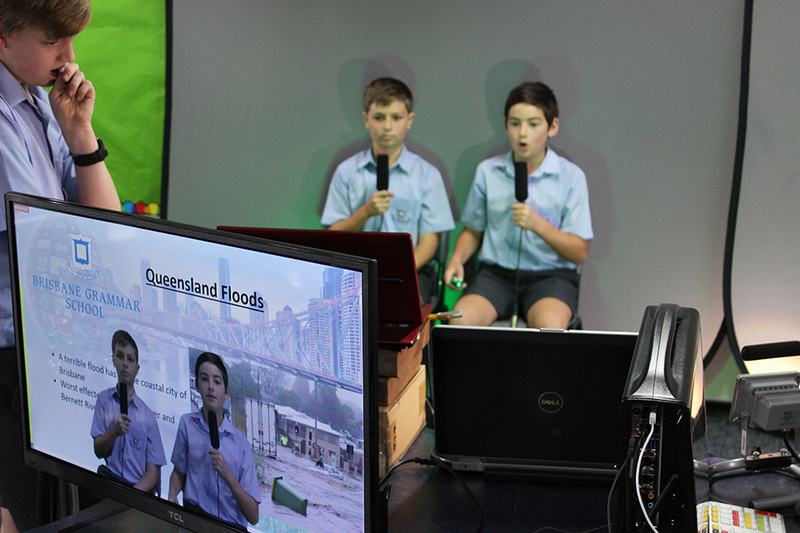 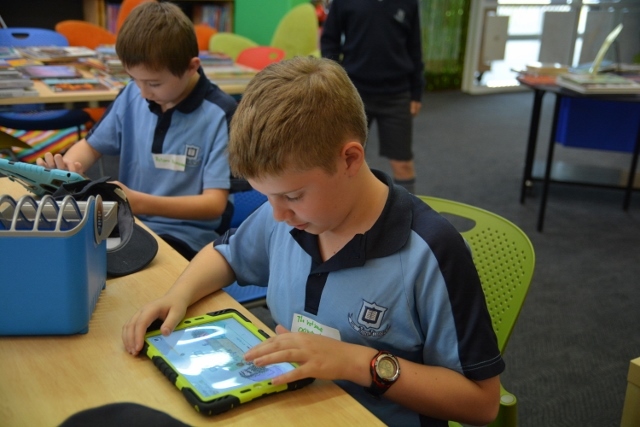 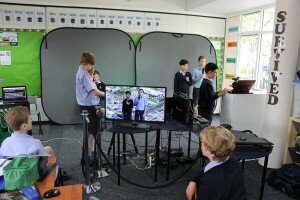 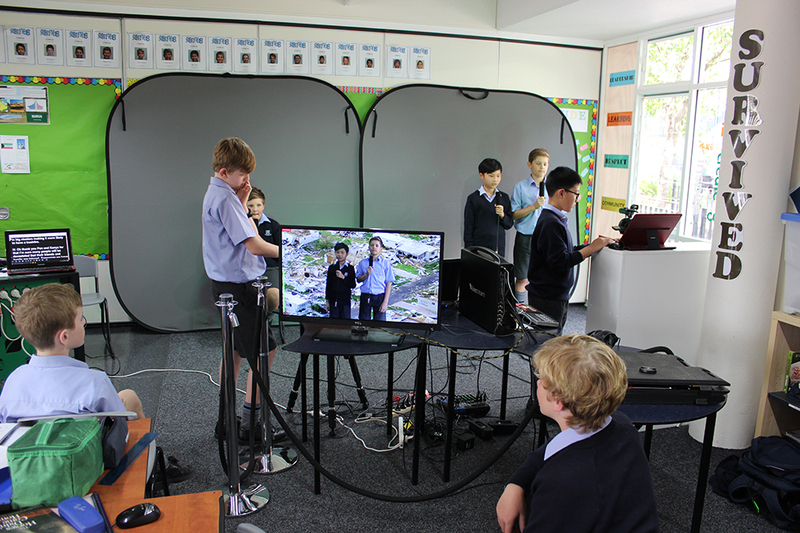 The Library Digital Media Specialist Mr Russell enjoyed working with the Year 6 teachers and students in the last two weeks of the term, assisting them with their “live news reports” on natural disasters. 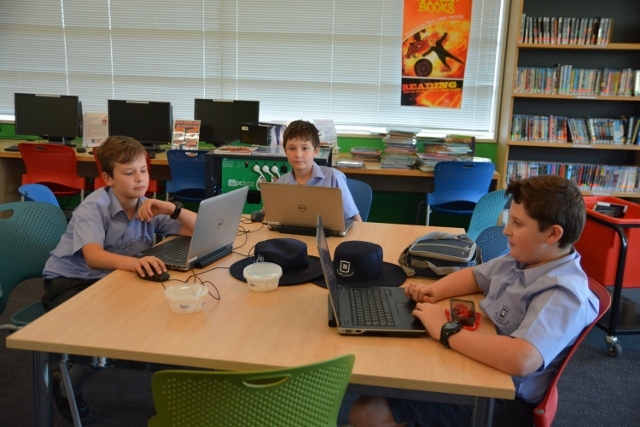 Students worked in small groups to complete their reports and were introduced to many new ICT skills which will be of great use to them in the future when preparing multi-modal presentations. 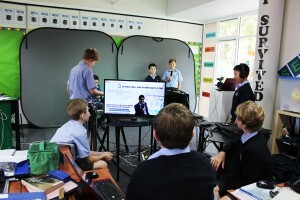 The students created PowerPoints which contained all their background photos, graphs, diagrams and videos. They built upon their existing knowledge of PowerPoint, learning advanced skills such as playback settings to get their videos to embed, play full screen, loop and adjust the volume for recordings. 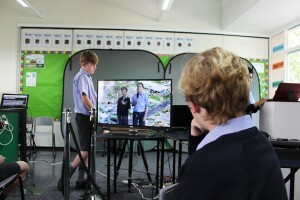 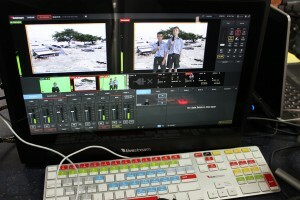 The boys were then able to change their background images and footage while they presented using a remote clicker linked to the computer. 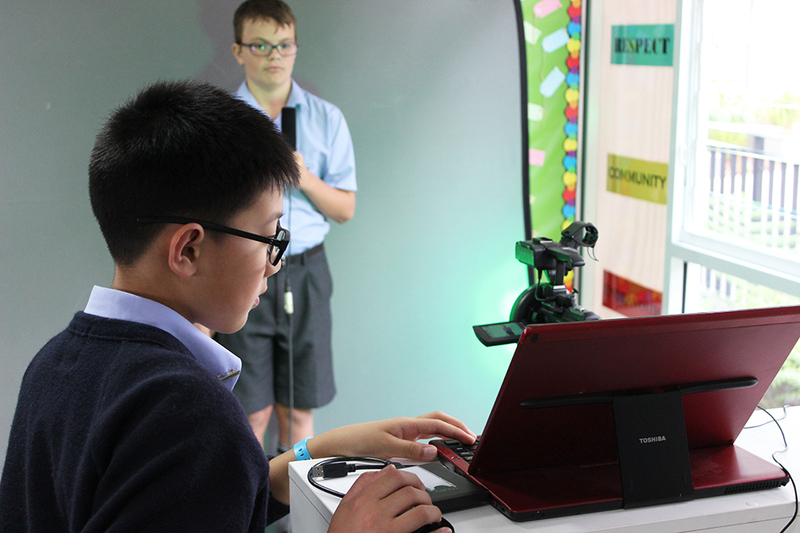 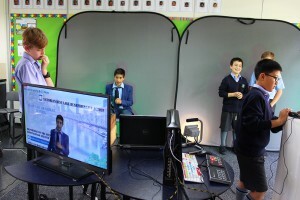 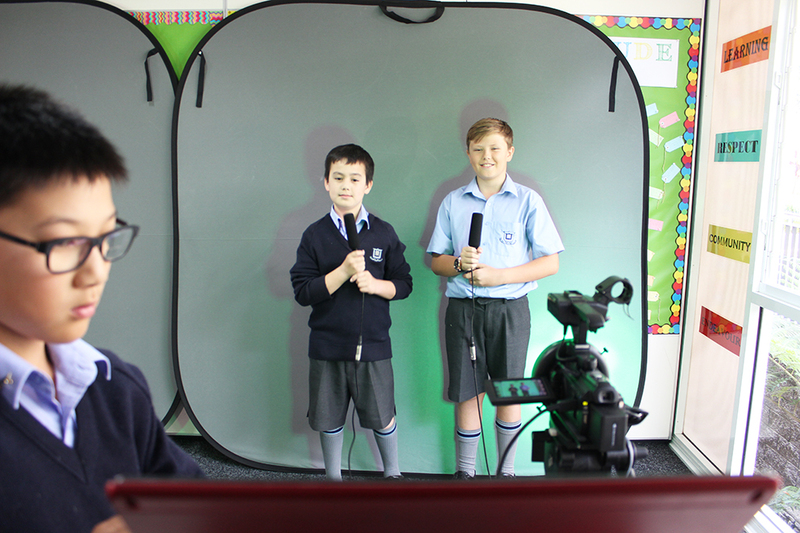 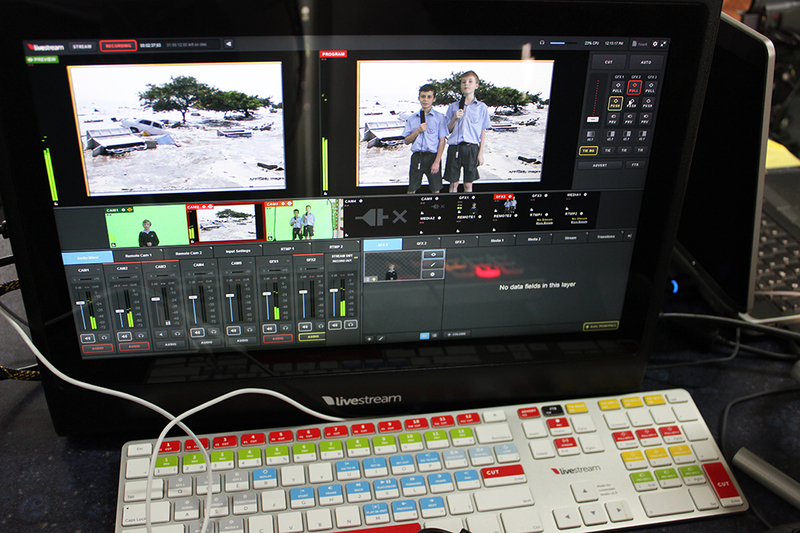 They were also introduced to teleprompting and practised reading their scripts using this method before undertaking the live recordings in front of the live Chroma Key setup. Each group was “live keyed” into their presentation, appearing in a news studio or in front of a blazing inferno or thunderous storm or whatever their script required. 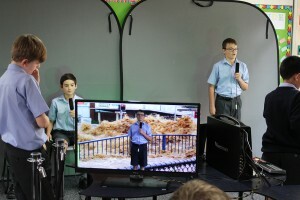 The learning experience for the boys was a big success, being fun and engaging. 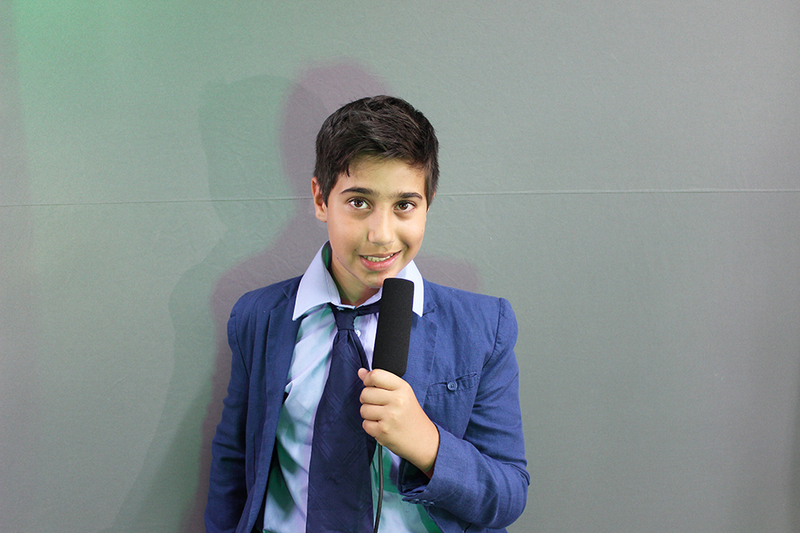 Many of the boys even chose to dress as reporters and news presenters for their presentations. When the boys weren’t presenting they were able to watch their peers on screen live and learn about a different natural disaster from the one they had studied. 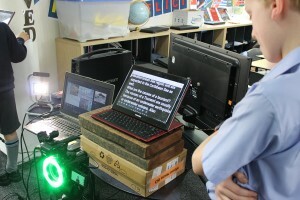 The completion of the assessed task saw excellent results. 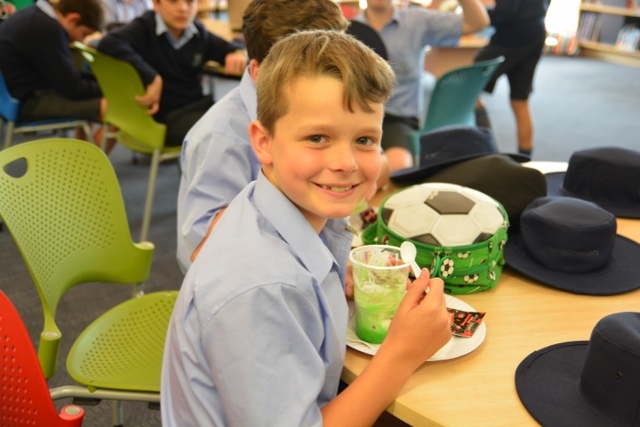 Last week the Years 5 and 6 boys had the opportunity to take part in a range of activities organised to celebrate 100 years since the birth of Roald Dahl. 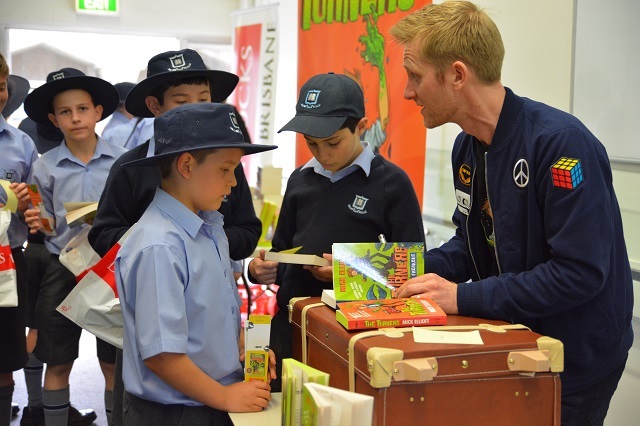 With Roald being a favourite of our boys, it was timely to have the boys share their love of his books and have some fun. 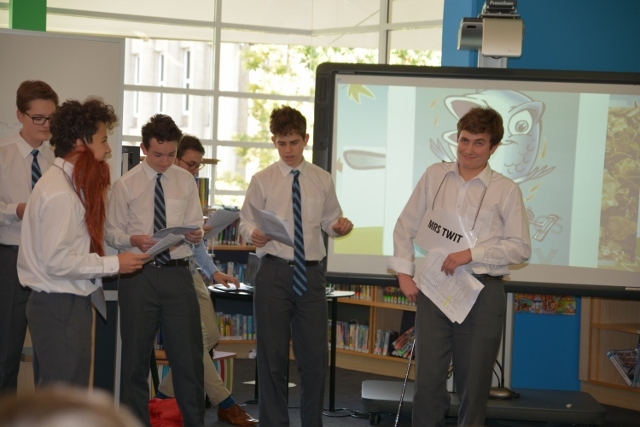 A highlight of the week was the outstanding play reading by Year 11 Drama students of The Twits. 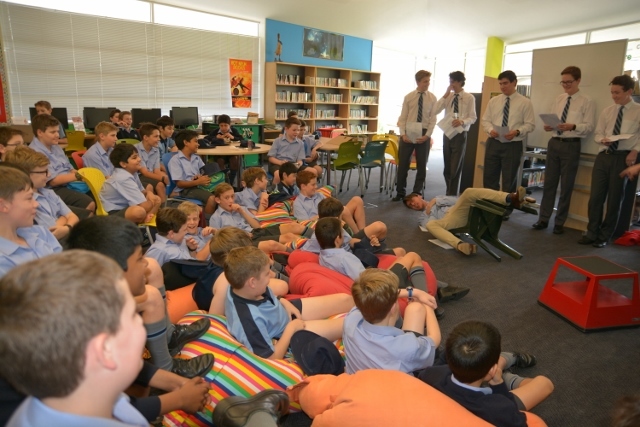 Led by drama teachers Ms Tanya Neilsen and Mr Ben Newth, the performers had the audience in hysterics as they shared some of the terrible pranks this unlikely couple played on each other. “Awesome” was the word used by the younger students at the conclusion of the play. 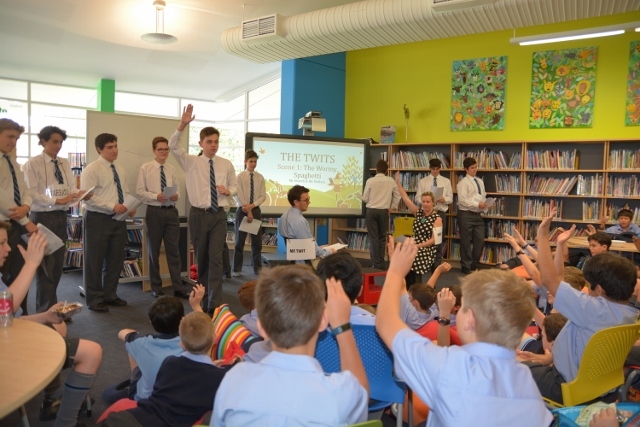 There was also a special session set aside for Roald Dahl Readers to share their favourite moments from the books. 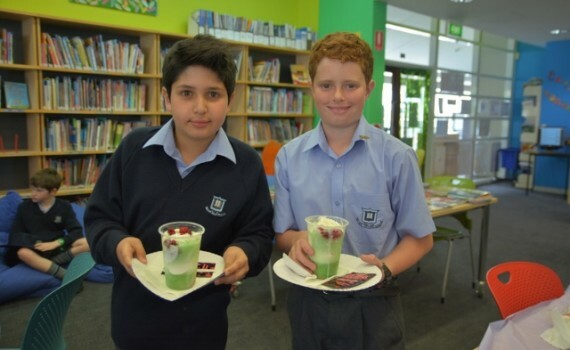 To accompany this was the BFG’s special frobscottle drink recreated by library staff which proved to be a delight for the tastebuds. 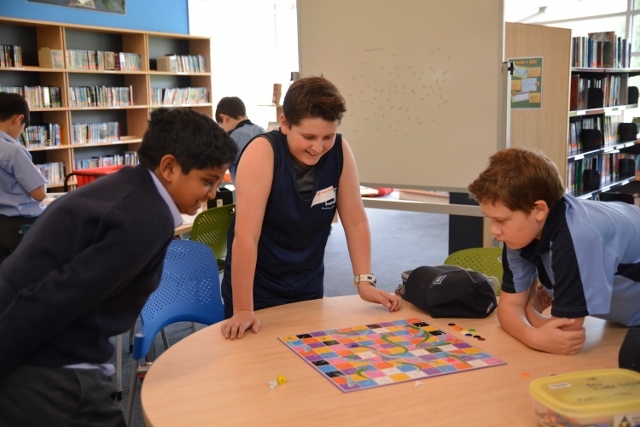 Other activities ranged from a trivia quiz to a games day to a viewing of Willy Wonka and the Chocolate Factory which has continued into this week. 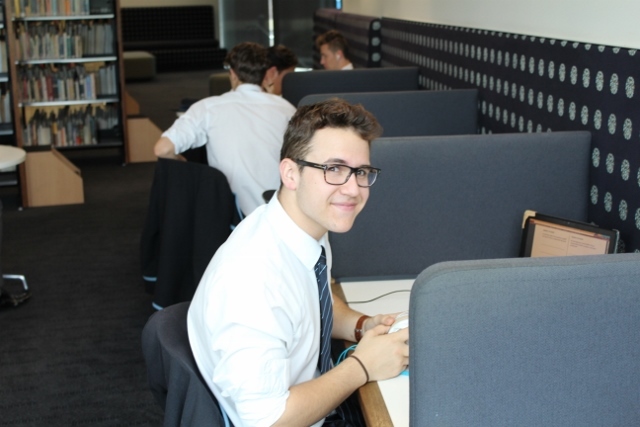 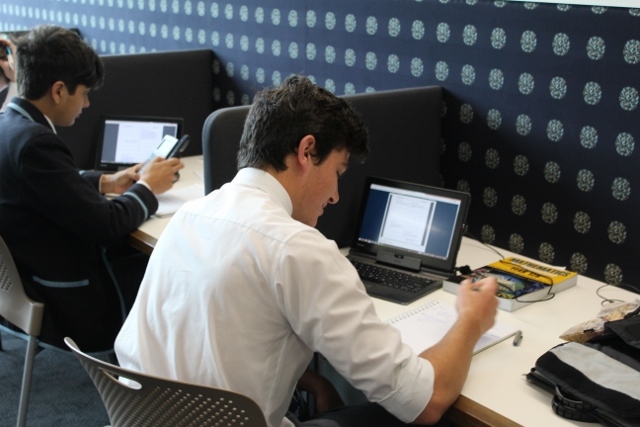 This week there has been a complete change of pace in the two top floors of The Lilley Centre as the Year 12 cohort sweated on last minute preparations for the upcoming examinations and assignment hand-ins. 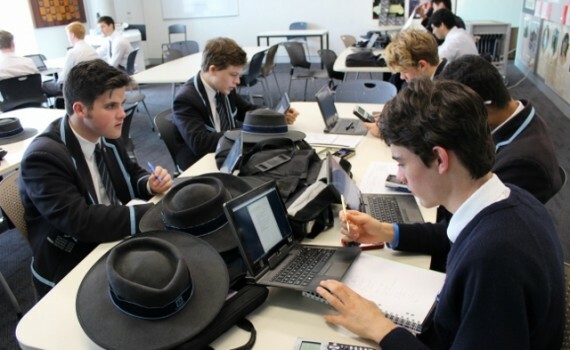 The younger year groups were relocated elsewhere to give the seniors exclusive use of the facility for four days. 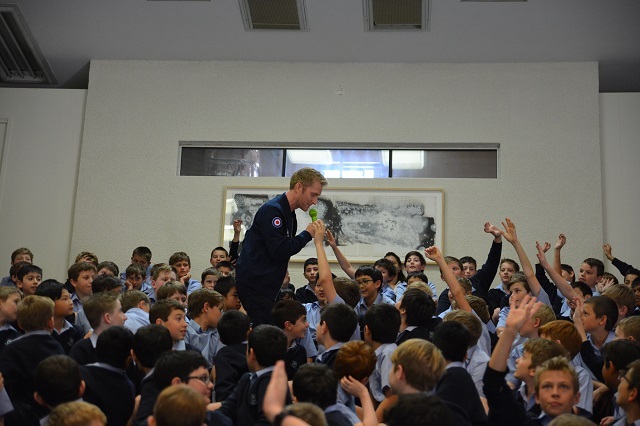 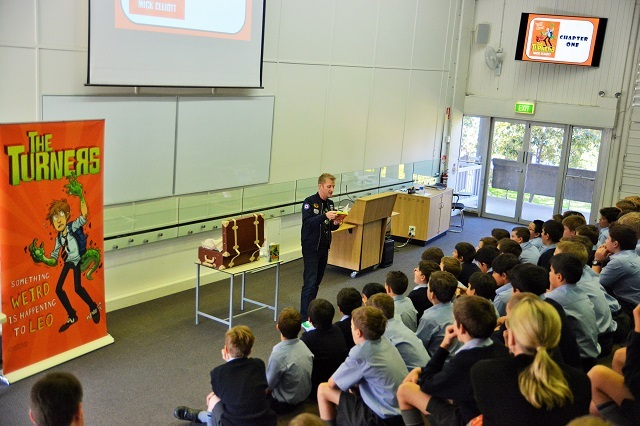 Boys in Years 5 and 6 were treated to a special event on Friday last week. 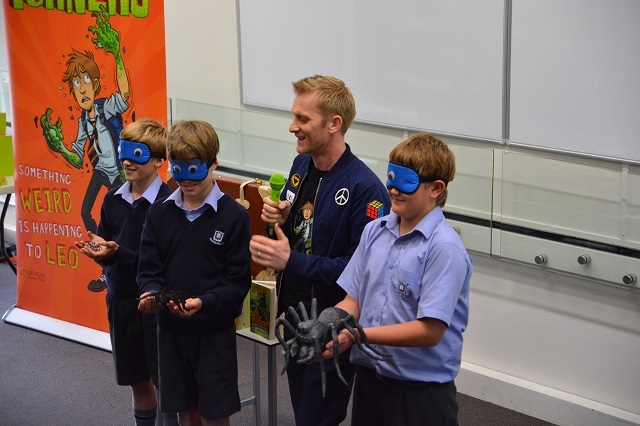 Sydney author Mick Elliott visited the school and was a most entertaining and enthusiastic presenter. 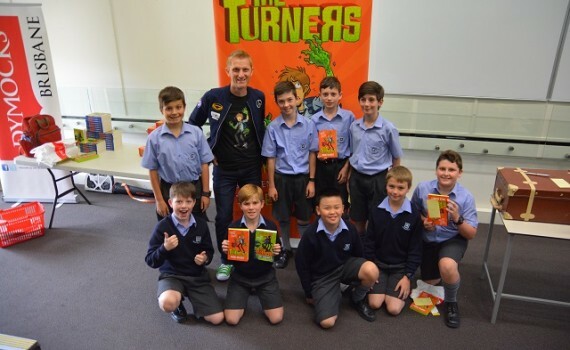 Mick is the author of The Turners series, a rollicking tale of Leo Lennox who discovers that he is growing a tail right in the middle of the school library on his 13th birthday. 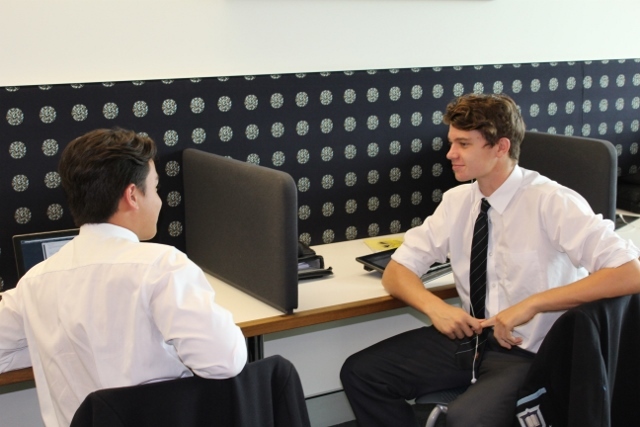 He soon turns into a Komodo dragon and in so doing learns that he is a shape-shifter. 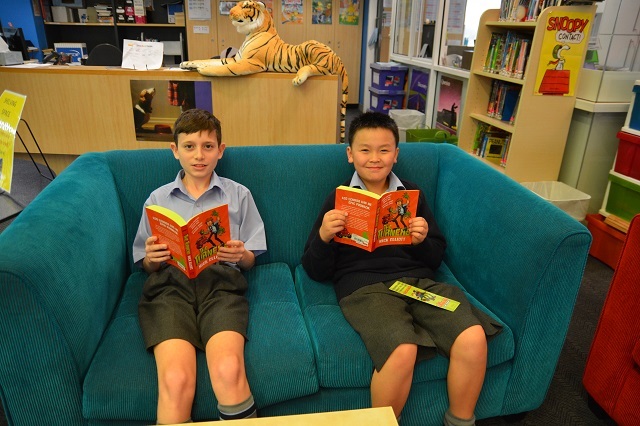 The second book, Camp Freakout, is due to be released next week so our boys are privileged to be among its first purchasers and readers. 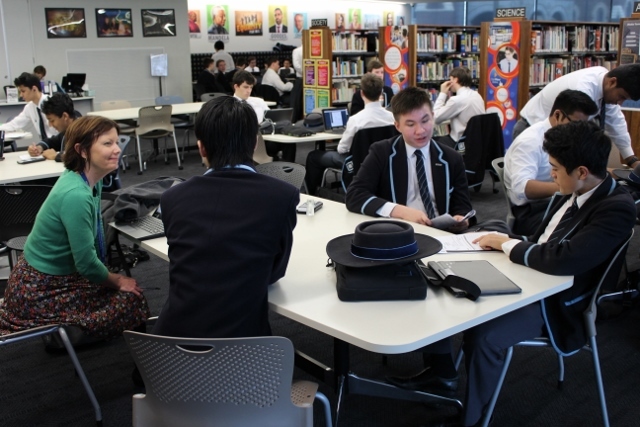 During the session, Mick shared his love of writing with the audience and gave some very useful tips for how to be good writer, including write about what you love, leave out the boring bits and read, read, read! 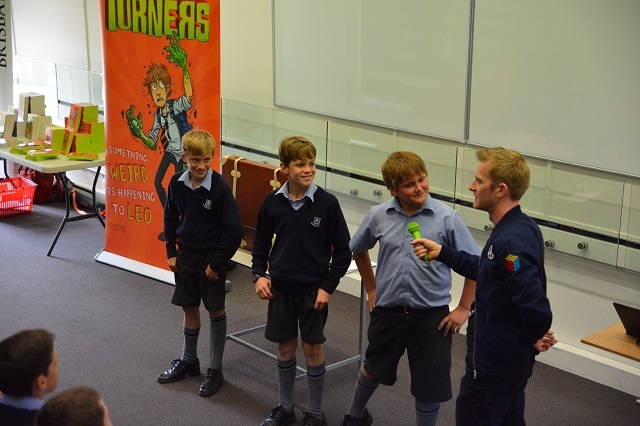 After school boys were eagerly beginning to read the book and begin their fantastically comic journey with Leo.